Adsoka worked with a team dedicated to bringing back a time-tested and well-loved brand: Hart Skis. We joined the team at the early stage when strategy development, product selection and company launch details were being formed. There were a number of elements produced by our creative team. They included an identity system, mission statement, trade show support and an initial re-launch website. The website had to imagine the future that was not yet present. Skiing and snowboarding on rich powder from mountain heights feeling completely immersed in the snow culture. The Adsoka team was up to the challenge. The multi-layered graphics kept the focus on the experience and not on the product that was not yet in production. The identity system had to convey a different emotion. It needed to say, "We're a solid business that you'll want as part of your product mix." 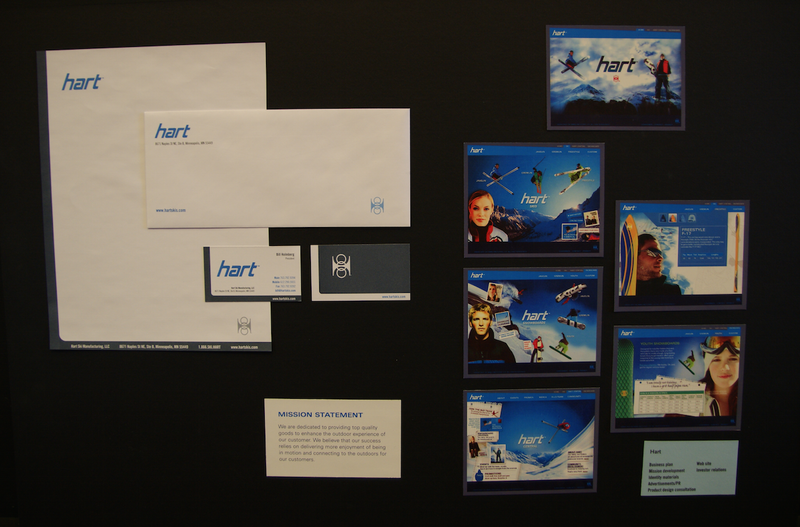 The logo, type and color all came together in the design to leverage all the positive brand sentiment of the past while reintroducing the Hart Skis brand back into the US market.